Ah, sweet September … that delicious time when tailgating and picnic seasons converge for a few precious weeks. Stay flexible in your menu plans throughout this month that starts out hot with Labor Day weekend and finishes in a delightful introduction to the cooler days of autumn. Keep one wine on hand to catch all the contrasts: rosé. Rosé resides in that netherworld of wine — neither red nor white. Made from a variety of grapes and in a variety of styles, it complements a wide range of foods, from red meats to poultry and fish entrées to appetizers and desserts. 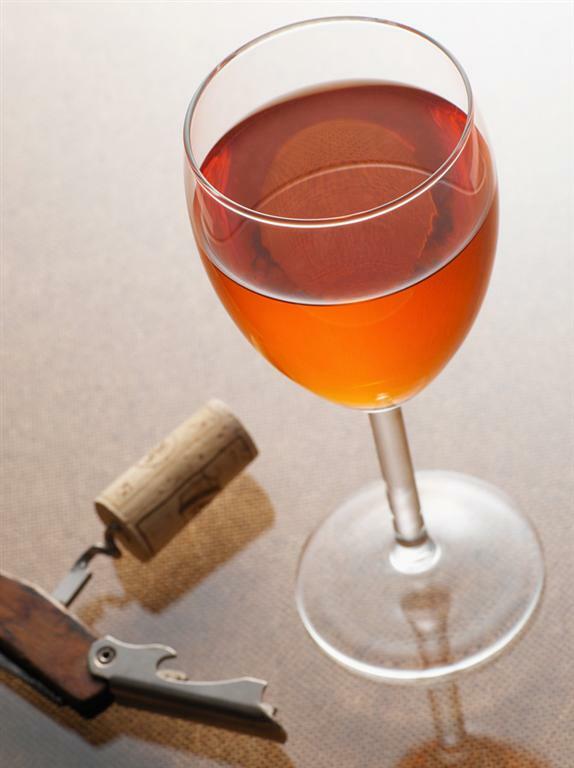 Rosés can be made by any of three methods: brief skin contact, in which black-skinned grapes are crushed and the skins remain in contact with the juice for only a few days; saignée, in which some pink juice is bled off from red wine early in maceration and fermented as rosé; or blending of red and white wines into rosé, a tradition in northern Italy. Cavit’s Lunetta Rosé is a dry, sparkling wine from Trento DOC in Trentino, Italy. The blend of Chardonnay with indigenous Trentino red varietals — Teroldego, Lagrein and Pinot Noir — creates a fragrant, salmon-colored wine with the fresh fruity flavor of strawberries and other red berries. Served well-chilled, it is a refreshing aperitif and also pairs well with antipasto, hors d’oeuvres, seafood and light meats. Lunetta’s Chardonnay base is a common blending grape in northern Italy. Teroldego, a red grape variety of Trentino-Alto Adige gives the rosé its spicy red fruit characteristics and snappy acidity. Lagrein, another red grape native to northern Italy, brings a fragrant aroma to the blend. Trentino Pinot Noir (often called Pinot Nero in Italy) adds a light elegance to the wine. Add variety to your tailgate spread with these rosés. They’re widely available in Columbia — inquire at your favorite wine shop. Mulderbosch, a Cabernet Sauvignon rosé from South Africa, is the perfect picnic wine. The elegant raspberry and wild strawberry flavor complements any tailgate fare. Gary Farrell Russian River Selection Rosé of Pinot Noir is crisp and refreshing, a very dry rendition of strawberry and raspberry flavors with bright underlying notes of pomegranate. Girl Go Lightly Rosé is a light and crisp wine with the flavor of sweet, juicy strawberries and fresh watermelon. Girl Go Lightly wines boast a lower alcohol level — 11 percent per varietal — giving them a food-friendly ambience. If White Zinfandel is the only rosé you’ll serve at a tailgate, try Beringer Classics White Zinfandel. Fresh strawberry, honeydew and citrus aromas and ­flavors shine in this casual classic with a 10 percent alcohol level. The ripe, sun-kissed taste is sweet, but not cloying, and pairs well with many foods. Go local with a couple of great Missouri rosés. Stone Hill Rosé Montaigne is a semisweet blend of Catawba grapes with white European-American hybrids for a soft sip of fruity flavors with floral aromas. Chaumette Winery has been making award-winning rosés in the Provencal style for years. Chaumette Spring Rosé, a dry but fruitful Chambourcin rosé, has a delicate aroma and taste with a crisp, clean finish.